The general cargo ship Alyaska grounded in Taganrog Bay in Azov sea. The ship was en route from Rostov-on-Don to Hereke, Turkey with cargo of timber, when grounded outside the fairway off Taganrog after blackout. 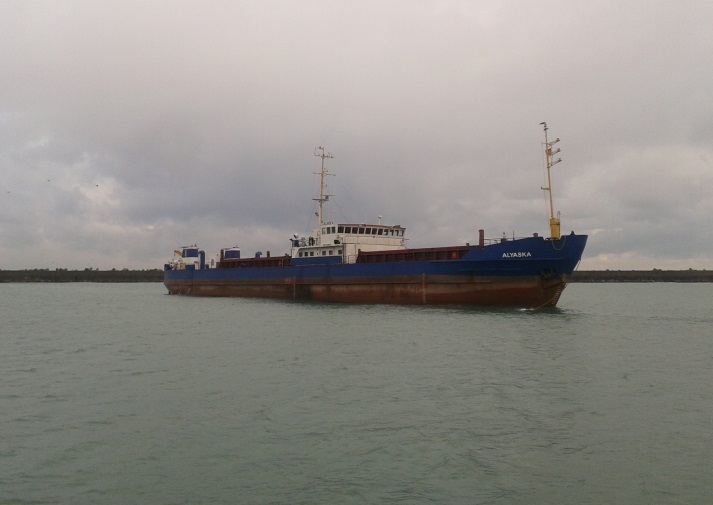 The general cargo vessel Alyaska lost propulsion power and left the waterway, grounding into the sandbank. The ship hardly stuck and was not able to refloat by own power. The crew informed the local authorities about the accident, but probably might suffered some hull breaches and requested underwater inspection before refloating. At the scene of the accident was dispatched a boat with divers, who estimated the size of the damages of the ship, but they do not fear the seaworthiness. The local authorities started investigation for the root cause of the grounding. The ship will be fully inspected before refloating. Fortunately during the accident there were no injured people and no water pollution. The general cargo ship Alyaska (IMO: 8326072) has overall length of 82.00 m, moulded beam of 11.00 m and maximum draft of 3.00 m. The deadweight of the vessel is 1,190 DWT and the gross tonnage is 1,618 GRT. The ship was built in 1983 by RSW Rosslauer Schiffswerft in their shipyard in Rosslau, Germany. The owner and operator of the general cargo vessel Alyaska is Ukrainian shipping company Elena Industrial and Commercial.